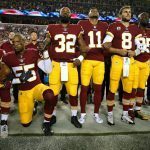 The NFL is taking drastic measures to prevent further protests of alleged social injustices and police brutality against people of color by committing at least $89 million over the next seven years to programs working to combat such discriminations. 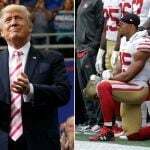 Ongoing kneeling during the singing of the national anthem has turned some fans away and kept the professional football league in the political headlines for all the wrong reasons, or right reasons depending on one’s view. But this week’s Monday Night Football hit a season ratings low, and all three Thanksgiving games last week saw a big drop in viewership compared to 2016. The New York Giants and Washington Redskins game was the least-watched NFL turkey day telecast sine 2012. In Las Vegas, that’s translating into reduced interest at sportsbooks, where handles have subsequently decreased. The NFL, old faithful for oddsmakers and casinos, was recently surpassed by the college game in three consecutive weeks, and it wasn’t even close. Football is the top betting attraction at Nevada sportsbooks, accounting for about 37 percent of total wagers each year. But as NFL continues to lose fans, college football is taking in more bets. “Their product isn’t very good these days,” William Hill Chief Oddsmaker Nick Bogdanovich said of the NFL recently. Despite the drop in NFL handle, overall betting continues to increase at Silver State books. Total handle across all sports is expected to surpass the $5 billion mark in 2017, which would mark the industry’s eighth consecutive record high. NFL Commissioner Roger Goodell has received much criticism for allowing the kneeling protests to continue. From owners to President Donald Trump, the football boss’ reputation has taken yet another hit, but he’s still poised to sign a contract extension that’s reportedly worth almost $50 million. In what’s almost certainly an effort to take players’ protests of social injustices off the gridiron, ESPN says the NFL is ready to commit $89 million over seven years to projects dealing with criminal justice reform, law enforcement and community relations, and education. 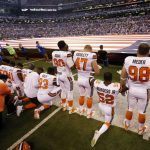 The NFL’s social injustice pledge would surpass the league’s current relationship with Salute to Service, a military appreciation campaign, and the NFL’s ongoing commitment to raising breast cancer awareness. 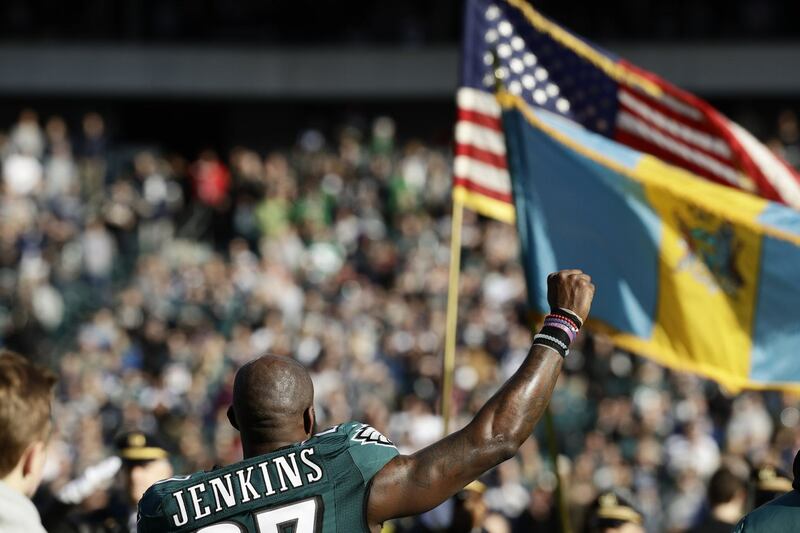 Philadelphia Eagles player Malcolm Jenkins, a representative for the Players Coalition that worked on the social injustice deal, said he will end his on-field national anthem protest should they money come from the NFL. “If the league continues to come through or deliver on their word, then I see no need to go back to what I was doing,” Jenkins explained. The Players Coalition has requested that the vast majority of the charitable NFL donations goes to the Hopewell Fund. 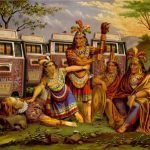 The nonprofit says on its website that it helps “donors, social entrepreneurs, and other change makers quickly launch new, innovate social change projects. According to its IRS paperwork, the Hopewell Fund received just $6.5 million in contributions last year.